I knew my roommate was insane and that he was doing terrible things to his body by mixing Mountain Dew and NO-Xplode. But years later, after I got a full-time job, I found myself drinking Sugar-Free Rockstar Energy Drinks during work so I could beat the 3:00PM energy low. Then I would get home and drink my Pre-Workout Energy Drink, Jack3d, and hit the gym. After a few days of this I found my energy levels slump significantly at work and at they gym. The more caffeine I took the more tired I would get. I couldn’t make it longer than 30 minutes at the gym, if I even felt like going, and I would sleep during my 15 minute breaks at work. I didn’t get a pump while working out and the amount of weight I could lift dropped drastically. My body was polluted with caffeine. 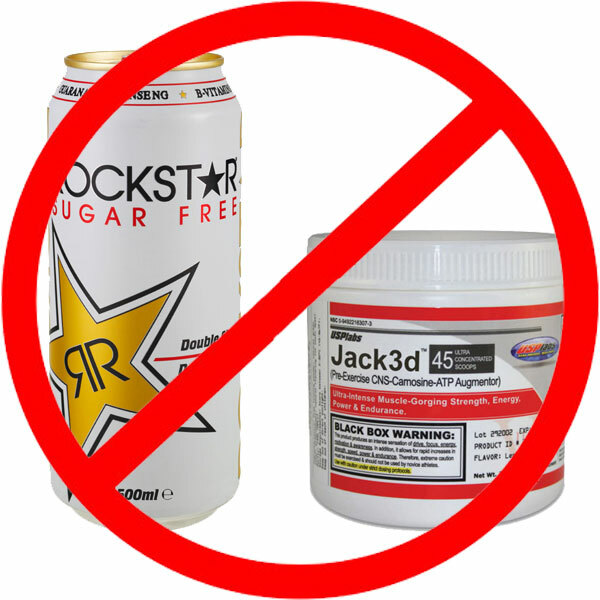 After this adrenal high at work my body would reject the Jack3d, or any other pre-workout energy drink, and my workout would be useless. Use moderation with all workout supplements that you take into your body. The key is to listen to your body. If it makes you feel bad then it is bad. Use wisdom in all things. This entry was posted in Bodybuilding, Supplement Review, USPLabs Jack3d and tagged energy drink, jack 3d, NO Xplode, pre-workout by Russell Jensen. Bookmark the permalink.